The whole Territorial question being thus settled upon the principle of popular sovereignty–a principle as ancient as free government itself–everything of a practical nature has been decided. No other question remains for adjustment, because all agree that under the Constitution slavery in the States is beyond the reach of any human power except that of the respective States themselves wherein it exists. May we not, then, hope that the long agitation on this subject is approaching its end, and that the geographical parties to which it has given birth, so much dreaded by the Father of his Country, will speedily become extinct? Most happy will it be for the country when the public mind shall be diverted from this question to others of more pressing and practical importance. Throughout the whole progress of this agitation, which has scarcely known any intermission for more than twenty years, whilst it has been productive of no positive good to any human being it has been the prolific source of great evils to the master, to the slave, and to the whole country. It has alienated and estranged the people of the sister States from each other, and has even seriously endangered the very existence of the Union. Nor has the danger yet entirely ceased. Under our system there is a remedy for all mere political evils in the sound sense and sober judgment of the people. Time is a great corrective. Political subjects which but a few years ago excited and exasperated the public mind have passed away and are now nearly forgotten. But this question of domestic slavery is of far graver importance than any mere political question, because should the agitation continue it may eventually endanger the personal safety of a large portion of our countrymen where the institution exists. In that event no form of government, however admirable in itself and however productive of material benefits, can compensate for the loss of peace and domestic security around the family altar. Let every Union-loving man, therefore, exert his best influence to suppress this agitation, which since the recent legislation of Congress is without any legitimate object. It is an evil omen of the times that men have undertaken to calculate the mere material value of the Union. Reasoned estimates have been presented of the pecuniary profits and local advantages which would result to different States and sections from its dissolution and of the comparative injuries which such an event would inflict on other States and sections. Even descending to this low and narrow view of the mighty question, all such calculations are at fault. The bare reference to a single consideration will be conclusive on this point. We at present enjoy a free trade throughout our extensive and expanding country such as the world has never witnessed. This trade is conducted on railroads and canals, on noble rivers and arms of the sea, which bind together the North and the South, the East and the West, of our Confederacy. Annihilate this trade, arrest its free progress by the geographical lines of jealous and hostile States, and you destroy the prosperity and onward march of the whole and every part and involve all in one common ruin. But such considerations, important as they are in themselves, sink into insignificance when we reflect on the terrific evils which would result from disunion to every portion of the Confederacy–to the North, not more than to the South, to the East not more than to the West. These I shall not attempt to portray, because I feel an humble confidence that the kind Providence which inspired our fathers with wisdom to frame the most perfect form of government and union ever devised by man will not suffer it to perish until it shall have been peacefully instrumental by its example in the extension of civil and religious liberty throughout the world. 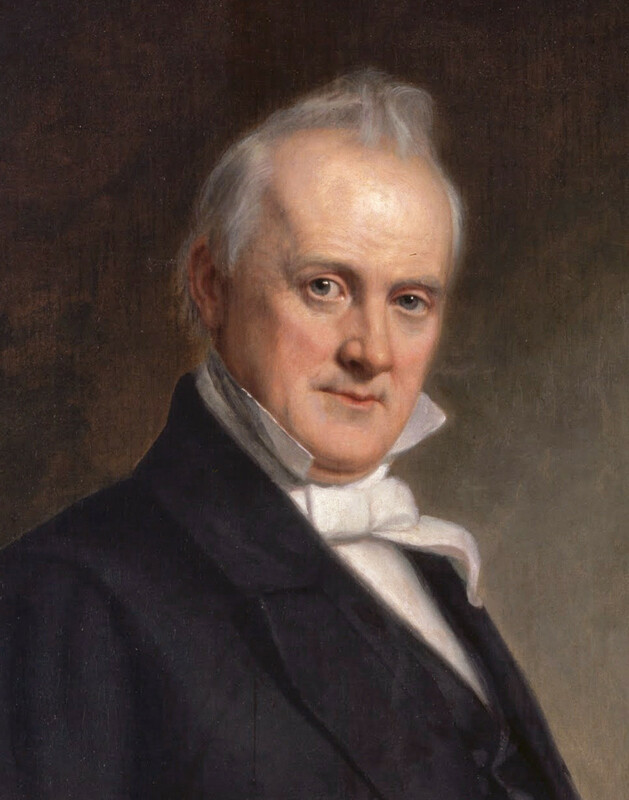 * James Buchanan: “Inaugural Address,” March 4, 1857. Online by Gerhard Peters and John T. Woolley, The American Presidency Project. http://www.presidency.ucsb.edu/ws/?pid=25817.